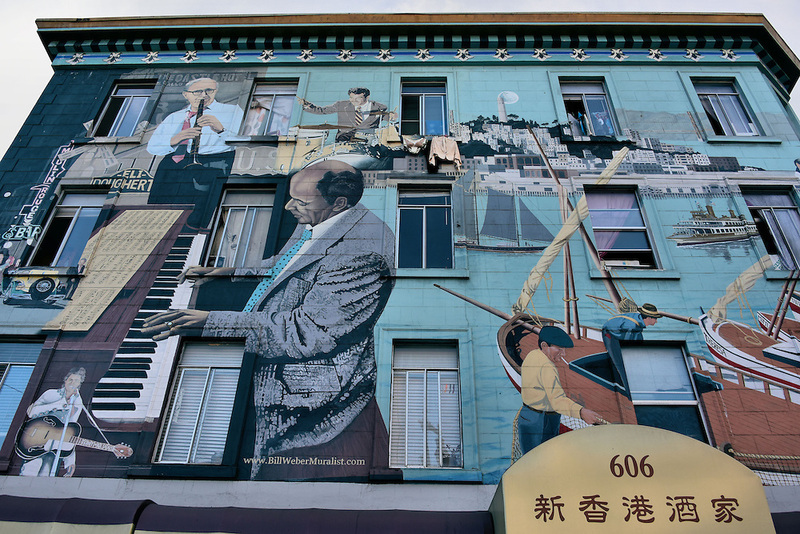 This outstanding 30 by 50 foot mural called “Jazz” was painted in 1987 by an accomplished Bay Area artist named Bill Weber. It covers two sides of a three-story building on the corners of Columbus and Broadway in the North Beach neighborhood. Featured are three musical legends: Teddy Wilson on the piano, Gene Krupa playing the drums and Benny Goodman with his signature clarinet.